In the early hours of the morning London time, the shortlist for the 2016 Stella Prize was announced in Australia. I made a stab at guessing what would be on it beforehand — on the Reading Matters Facebook page — but I only guessed three out of the six. On first impressions, it looks like a relatively mixed list, but actually two books are about hippy communes (The World Without Us and Hope Farm) and two are short story collections (Six Bedrooms and A Few Days in the Country and Other Stories). The fifth book is a dystopian novel, the sixth a collection of essays. It seems to me that the judges will have their work cut out from them, because how do you compare oranges to apples? The $50,000 prize is for Australian women writers and only books, both fiction and non-fiction, published between 1 January 2015 and 31 December 2015 were eligible. You can read the full announcement on the official website. The winner will be announced on 19 April. Wow, it really is the week for prize announcements, so many great books, this seems like an interesting and diverse collection across the genres, I agree, tough job to choose a winner! I know… too many… I can’t keep up! That Man International list looked great… But the Stella offers some great reads judging by the 3.5 I’ve completed already. The Jachau book is extraordinarily good, and I admired Harrower’s stories, even though I’m not a huge short story person either. Hope Farm is a great coming of age story, and the collection of essays is a brilliant account of disease and travel and filled with cultural insights: not what I expected when I started it last night. Before I knew it I was a third of the way through it! I’m the same, none of these are sending me to the bookshop either. It’s the problem with this prize: the only thing they have in common is that they’re written by women. That’s not necessarily something that makes me want to buy them. A prize that’s quite clear about what the books represent i.e. they’re novels of a certain standard, or it’s a history prize, or it’s a prize for biography, or offer a taste of international fiction in translation, or whatever, you’ve got some guide to whether you might like them or not, especially if the prize & its judges have a track record of picking books you’ve liked. That’s where shadow juries are a great help, offering reviews of whatever is shortlisted. 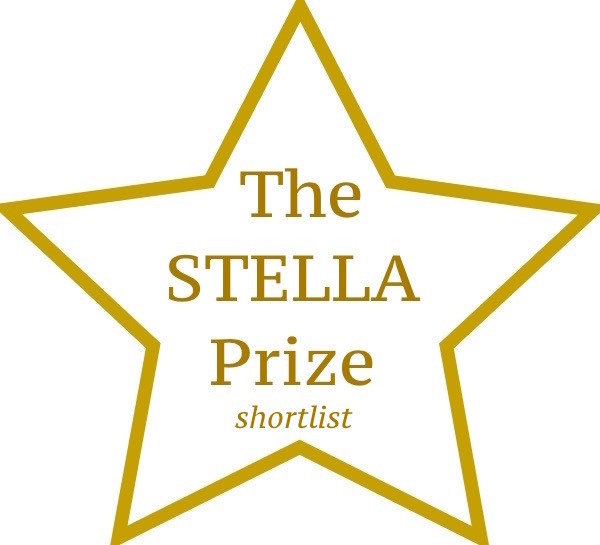 But who would want to be on a shadow jury for this year’s Stella, saddled with reviewing short stories that many readers aren’t interested in reading, a bunch of essays on a deeply depressing subject, a couple of lightweight novels and an angry feminist dystopia? (I won’t say which ones but I’ve actually got two of these, sent to me by their publishers, and I can’t muster any interest in reading them). Good point about the lack of unifying theme (apart from gender, of course), but I guess if the prize’s idea was to showcase the diversity of women’s writing it has succeeded. Perhaps it now needs to refocus? I think most of these sound good! I agree, though, that I can’t understand how you can compare full length novels to short story collections. I find it frustrating when that happens with the Giller prize, too. Not that the stories don’t deserve prizes; it’s just that I would think they’d be hard to compare. They are good, Naomi, or at least the ones I’ve read so far have been enjoyable. And I have to admit I’m a bit like you when a short story collection appears on the Giller Prize list: I don’t know how to compare them with a novel, because they’re such a vastly different reading experience. I have always seen the Stella as a way of celebrating and acknowledging diversity – every year there’s a mix of fiction and non-fiction, full length novels and short stories. I read the full shortlist each year and enjoy the fact that it pushes me out of my reading comfort zone (for example, Foreign Soil last year is not a book I would have ordinarily picked up but I really admired it). Of this year’s list, I was surprised by the two ‘commune’ stories but I reckon it’s irrelevant because Wood’s novel is astounding – sure, it may be ‘angry’, but it’s also topical and relevant and generates discussion – what more can you ask for?! I have admit that I’m enjoying reading the shortlisted titles, because — as you so rightly point out — they push me out of my comfort zones, too. I’d never think of reading a collection of essays about hunger, but my god, this book is extraordinary… I’m almost finished it and it’s made a deep impression and taught me so much already… I’m really looking forward to Charlotte Wood’s novel: I’ve been saving it up since purchasing it last October! It’s the Wright that I’m most looking forward to – glad to hear it’s so good! Must admit that it’s the Frew that least appeals to me (mainly because I wasn’t blown away by her first book). I’m in the middle of Six Bedrooms – so far, fabulous. The Natural Way of Things has to win. And I’ve not read the others. Hahahaha.